Also known as the black-handed spider monkey, Geoffroy’s Spider Monkey originates from parts of Mexico and possibly Colombia. There are 5 subspecies of Geoffroy’s Spider Monkey and some primatologists actually classify the black-headed spider monkey as the same species as Geoffroy’s Spider Monkey. Even though there are 5 subspecies, primatologists often argue about the number of Geoffroy’s Spider Monkey species existing in the world. Some classify them solely on fur color, while others base it on both fur color and its geographic distribution. 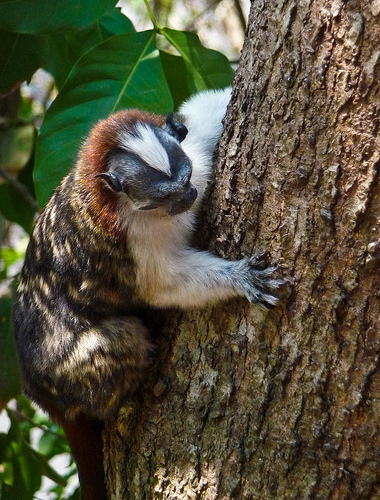 It is one of the largest monkeys living in Central and South America, and often weighs up to 9 kilograms. 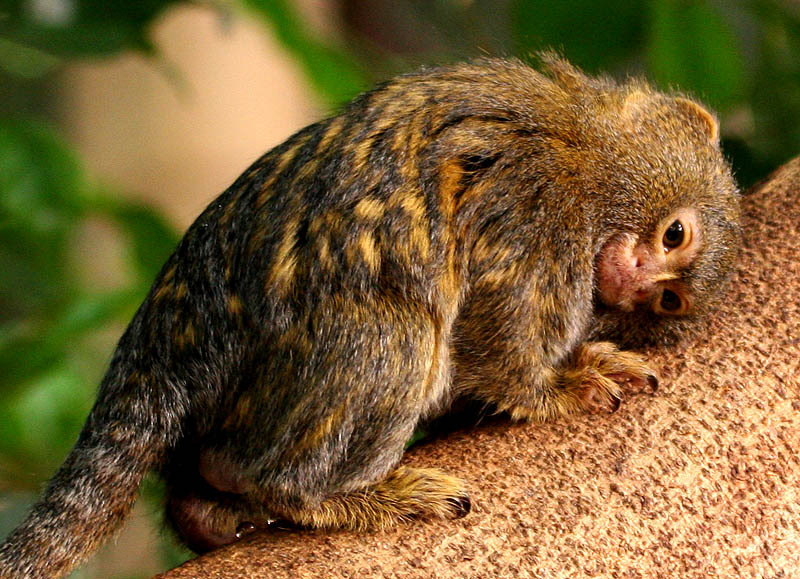 Its arms are much longer than its legs, and its amazing tail can support the entire weight of the monkey so it is used as an extra limb. 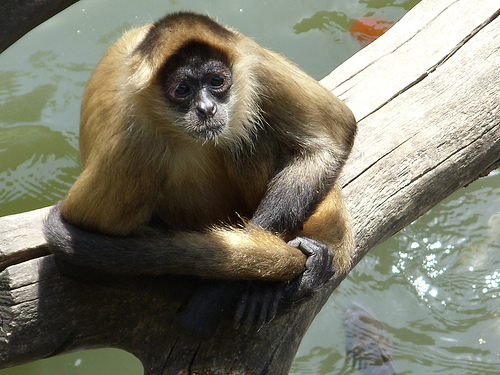 The Geoffroy’s Spider Monkey’s body color varies per subspecies, and can be between black, brown, rust, red, or buff. Its feet are dark or black, and its face has a pale mask around the eyes and muzzle. It travels quite a distance in order to forage for food. Sometimes they can travel between 900 hectares a day! However, males tend to cover a larger range then females. For food, it likes to eat ripe and fleshy fruit. In fact, it spends about 70 to 80% of its day eating fruit! Other than that, it likes to eat leaves, flowers, bark, insects, honey, seeds, and buds. They are also known for drinking a lot of water. It will drink from bromeliads in trees and tree holes, but it will also drink from ground water sources. 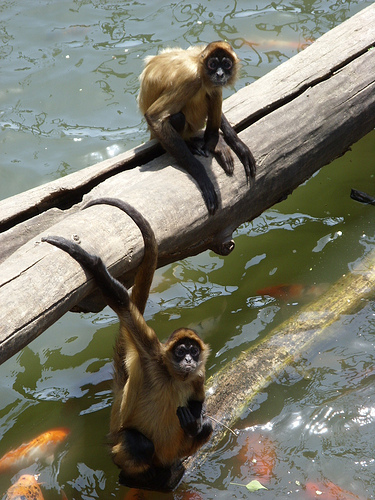 Geoffroy’s Spider Monkey’s are quite intelligent as they have both non-vocal and vocal forms of communication. Vocal sounds include barks, whinnies, squeaks, screams, and squeals. Barks are used as alarm calls, whinnies and screams are used for distress as well as to signal dawn and dusk. 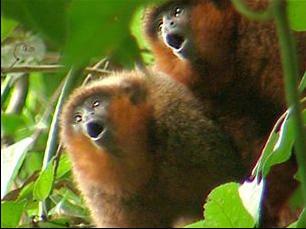 Some monkeys may also make a unique sound. In terms of non-vocal communication, a tail that is curled or an arched back is used as a threat display towards other spider monkeys. Geoffroy’s Spider Monkey’s will shake their head as either a threat or a play invitation. If they are shaking branches or swaying their arms, they are giving a danger warning to their group. Sadly, this animal is listed as an endangered species due to the destruction of its habitat. 3 of its subspecies are critically endangered. It needs a large area of forest to survive, and thus is quite affected from deforestation. Sometimes it is even hunted by humans and captured as a pet. Unfortunately, it has a low reproductive turnover so it cannot replenish its population after such events.